Trump says he's sad to see removal of "beautiful statues"
WASHINGTON -- President Trump on Thursday said he was sad to see U.S. history being "ripped apart" with the removal of Confederate monuments and statues, which he called "beautiful." At his press conference at Trump Tower on Tuesday, the president said that it was up to "a local town, community or the federal government" when asked whether the statue of Robert E. Lee in Charlottesville, Virginia should stay up. He then began equating Confederate statues to those of the nation's Founding Fathers. "Was George Washington a slave owner? So will George Washington now lose his status? Are we going to take down — excuse me — are we going to take down statues to George Washington? How about Thomas Jefferson? What do you think of Thomas Jefferson? You like him. Good," he said. 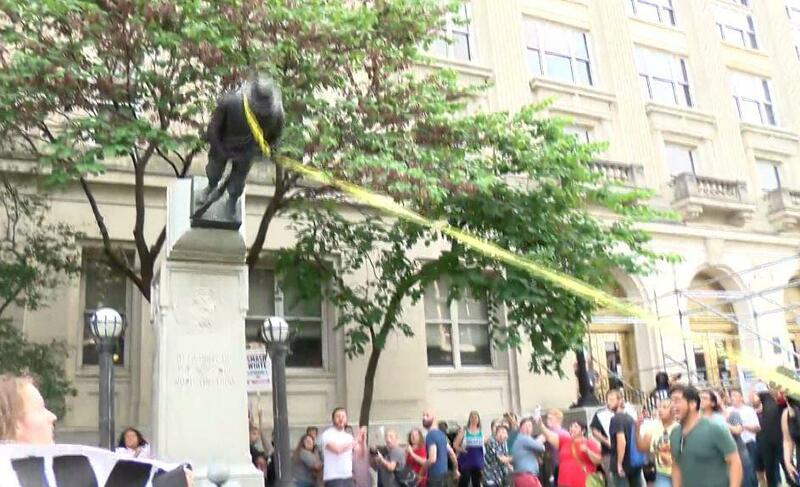 "Are we going to take down the statue? Cause he was a major slave owner. Are we going to take down his statue?" The changes were publicized as Mr. Trump defended Confederate statues in wide-ranging remarks. "This week it's Robert E. Lee. I notice that Stonewall Jackson's coming down," Mr. Trump said during a visit to Trump Tower in New York. "I wonder, is it George Washington next week, and is it Thomas Jefferson the week after? You know you really do have to ask yourself, where does it stop?" "Our Civil War history is important, but it belongs in textbooks and museums?- not a place of allegiance on our Capitol grounds," Cooper said in a statement.